As pleasant as gazing into decorated department store windows and ice skating in Central Park may be, once winter temperatures and tourists hit, New York is the last place New Yorkers want to be. So to help mollify the impending sense of doom, we used Kayak’s Explore tool to scrounge up the best warm weather places you can easily fly to for under $400. The prices below show the lowest, fixed price offered by specific airlines, but they’re undoubtedly going to go up, so book ASAP! 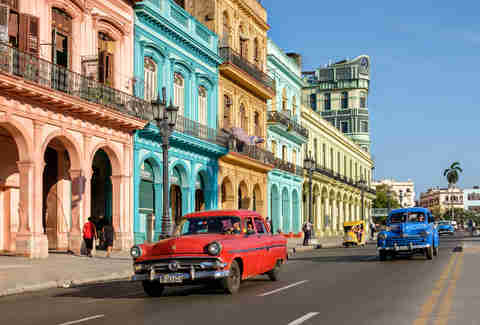 Chances are that Cuba ranks pretty high on your must-visit list. That’s because, for a long time, Americans were forbidden from traveling to the tiny Caribbean island. Thankfully, those old Cold War-era travel restrictions have now been lifted. Even better news: Flights this winter are at an all-time low, so this is a good opportunity to get started on that New Year’s resolution to take more selfies in your Che Guevara hat. What to do: Visit La Guarida, one of the better paladars in Cuba (private homes that have been transformed into restaurants). From the street, the building looks kind of dilapidated but once inside, you can climb the historic staircase to see an exceptional view over the city. You’re likely more than familiar with Puerto Rico’s northern capital, San Juan. But the island’s second major city, on the Southern coast, is a significantly cheaper gateway to this so-called Isle of Enchantment. Meander the La Guancha Paseo Tablado boardwalk, lined with restaurants and shops, or simply park yourself on Playa de Ponce, one of the best beaches for swimming in Puerto Rico. What to do: Grab the ferry to Isla Caja de Muertos, which is one of the top spots for diving and snorkeling. Guadeloupe doesn’t receive nearly as much attention as other Caribbean destinations, which is a true shame. The island, rich in Franco-Caribbean culture, is peppered with sleepy beach towns, and is also home to Guadeloupe National Park, the centerpiece of which is La Soufrière volcano. Whether you’re looking to relax on the beach or do an activity like diving or snorkeling, be sure to spend your evenings sopping up Creole cuisine and listening to traditional zouk music. 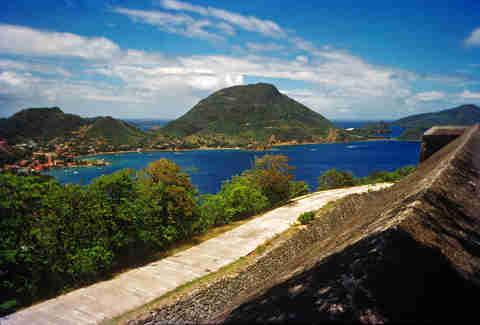 What to do: Take a day trip to Terre-de-Haut, the largest of the eight islands that make up the Les Saintes archipelago. Today the island feels like a quaint village in the South of France -- it’s small and easily navigable, with a booming sailing scene. Barbados is one of the most historically significant islands in the Caribbean, though it has a complicated history, having been an integral part of the sugar cane and slave trade industries. Today, the capital, Bridgetown, is a UNESCO World Heritage Site and the island is sprawling with beautiful beach resorts and lots of warm and welcoming people. It also has a great nightlife scene, and is a top destination for surfers. What to do: Pop by Carib Beach Bar & Restaurant on Friday nights for the live music. But any day you stop at this restaurant is a good one with seafood and burgers to be enjoyed at picnic tables on the sand. Even after a glowing endorsement from the Times as the number one destination to visit, airfare to Mexico City is still super-affordable. This cultural powerhouse continues to delight international travelers with its excellent food scene, juxtaposition of Aztec ruins right next to classical Spanish buildings, plus more than 1,500 museums and galleries, great architecture, music, and nightlife. What to do: Visit the Zócalo, or the central plaza, which is full of impressive structures, such as the stunning Metropolitan Cathedral. Then wander past the Palacio Nacional, the Federal Treasury, and the Nacional Monte de Piedad. The Palacio de Bellas Artes is another gorgeous building just off the Zócalo and is home to large-scale murals painted by Mexican artist Diego Rivera. Grab a hot chocolate and a churro from nearby restaurant El Moro. While everyone else you know is zip-lining Arenal National Park in Costa Rica, you should be heading to El Salvador. 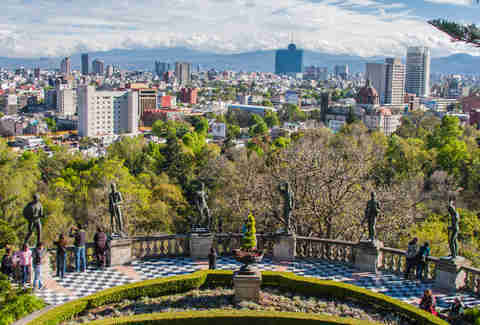 San Salvador is a majestic city, encircled by mossy volcanos, and packed with museums, cafes, markets, and nightlife. The country has a healthy combo of both ocean and mountains, and the indigenous communities and a vast topography make it a great vacation for a wide variety of people. There is a major wealth gap in El Salvador making crime a reality, but this is true of many countries around the world; as always, the best advice is to travel smart wherever you go. What to do: Make a trip out to Playa El Tunco, which is a major party zone for surfers. If you want to learn how to surf yourself, grab your board and make way for Playa El Zonte, which is one of the best spots for newbies. 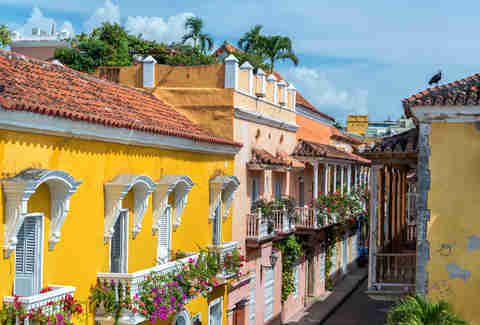 The spotlight continues to shine on Colombia year after year, with colorful Cartagena at center stage. This city-out-of-a-storybook is a labyrinth of cobblestone streets, historic architecture, trendy restaurants, and cute cafes. Not to mention, it’s right on the Caribbean Sea. What to do: Cartagena’s Old Town is simply stunning. The walled town is made up of El Centro and San Diego neighborhoods, teeming with churches, plazas, and historic mansions. Curacao’s roots can be traced back to the 16th century, and the capital, Willemstad, looks like a pastel-colored version of Amsterdam. The island is a beautiful blend of town and country, with Willemstad and its booming economy, and the long stretches of rural beachscapes that are perfect for diving and snorkeling. What to do: Visit Christoffel National Park, a preserve formed from three old plantations. The park is packed with nature, miles of dirt roads, and caves with ancient drawings. Built onto the foothills of soaring mountains and active volcanoes, Quito is one of the most beautiful and vibrant South American capitals. It’s also the home base for a wide world of adventure tourism. 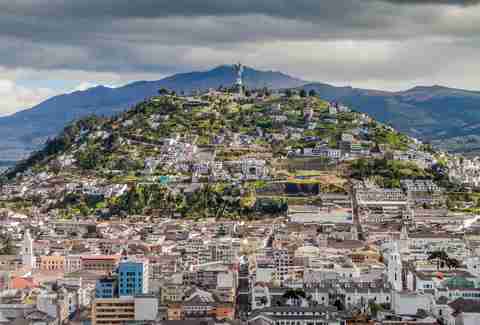 High in the Andes, Quito is a mix of modern and indigenous, with luxury high rises, local markets, shamans, artisans, and an Old Town that was named a UNESCO World Heritage Site. And backpackers delight in the Mariscal neighborhood, which is teeming with wayfaring gringos who camp out at the karaoke bars and hostels. What to do: Head just outside the city to Cotopaxi National Park, where you can rent mountain bikes and ride down the face of this still-active volcano. In the last few years, Panama City has exploded as a cosmopolitan capital, with scores of hotel developments opening weekly. The scene here is unapologetically frenetic, complete with casinos, pulsing clubs, traffic, and a skyline accented by high rises. Even if that fast-paced life is already satisfied here in New York for you, Panama City is still a perfect jumping off point to explore beaches on either the Pacific or Caribbean side. What to do: Visit Mercado de Mariscos. This seafood restaurant, tucked above a fish market, is the No. 1 spot in the city for all things from the sea. Indulge in ceviche by the cup for $3, or drink up a big bowl of the “Get Up Lazarus” soup. As the future of the country teeters precariously on a ledge, it might be time to go check your offshore bank accounts and make sure everything is secure. Fortunately, flights to Grand Cayman are less than $300 this winter. And while you’re checking on your liquid assets, you can get your sun on on the beautiful, always Instagram-ready Seven Mile Beach. What to do: Enjoy the view from Seven Mile Beach, often heralded as one of the best beaches in the entire Caribbean. 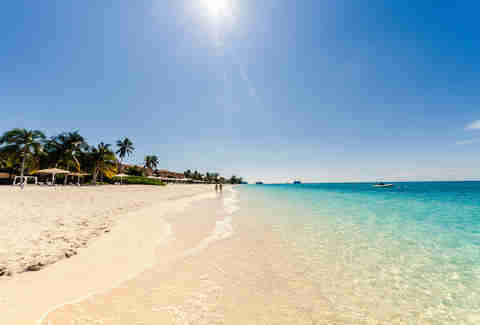 Snorkeling is made easy here, as is picking one of the many beach bars and knocking back a few Caribbean brews. Most people will bypass Guatemala City, having heard rumors about its crime and grime, and opt for lush and leafy Antigua instead. But Guatemala City is in the process of a total makeover. Zona 1 in Downtown is the guinea pig for this pet project, as the 6a Calle has become pedestrianized and is now flanked with bars, cafes, and restaurants. Still, Guatemala City is entirely a work in progress, but it’s a nice change of pace from glossier tourist capitals. What to do: If your travels put you in the city on a Sunday, take a stroll down the Avenida de las Americas in Zona 10. This street is blocked off to traffic and is overrun by street performers, food vendors, and skaters. Pass by on foot or rent a bike to enjoy this slice of city life. Merida often gets ignored in favor of Cancun’s sugary sands, but this is a huge mistake. It’s the veritable cultural capital of the entire Yucatan Peninsula and is rich with history and quaint cobblestone streets, sweeping plazas, and handfuls of museums, street food, hostels, and hotels. 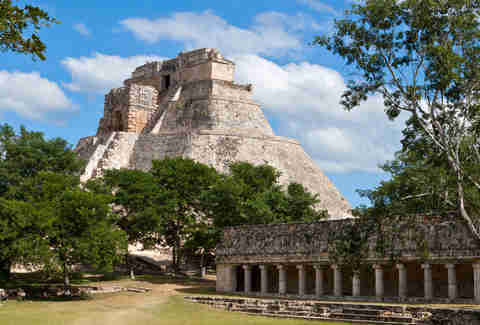 What to do: From the city, take a trip deep into the jungle to witness the archaeological site Uxmal, one of the largest cities from the Mayan world. So you aren’t going to Belize to spend time in Belize City. That is just a fact. But the city is located within short distances to most of the places in Belize you are actually going to want to visit. Those looking for a tan will love the sandy cages that run along the Belize Barrier Reef (which is just a quick ferry ride away from Belize City) and hikers can head farther inland toward San Ignacio to find mountains, rivers that flow through caverns, and jungles packed with Mayan ruins. What to do: Hop the ferry out to Caye Caulker for a few nights to perch yourself in a hammock under a shady palm, drink Belikin beer, eat seafood right from the water, and forget about reality for a little while. Meagan Drillinger is a contributing writer for Thrillist. Her sense of impending winter doom kicks in sometime around Labor Day. Follow her on Instagram, Facebook, and Twitter at @drillinjourneys.